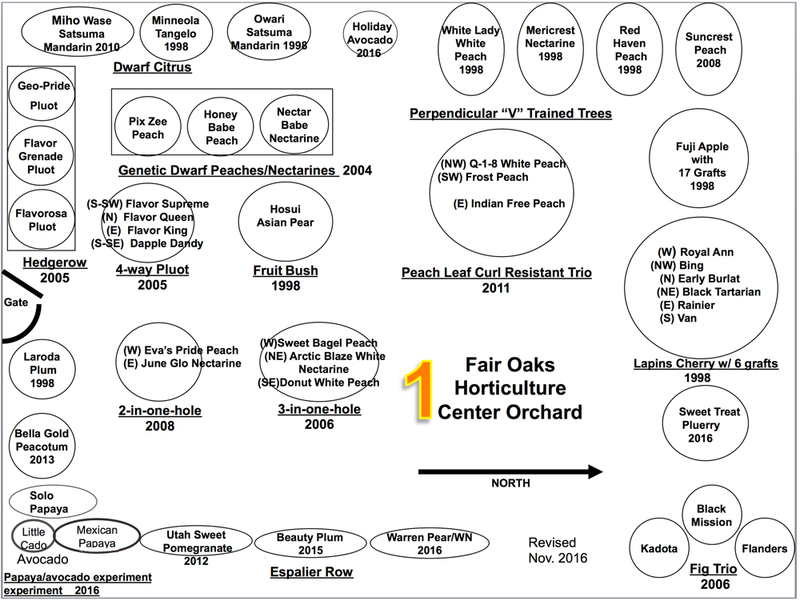 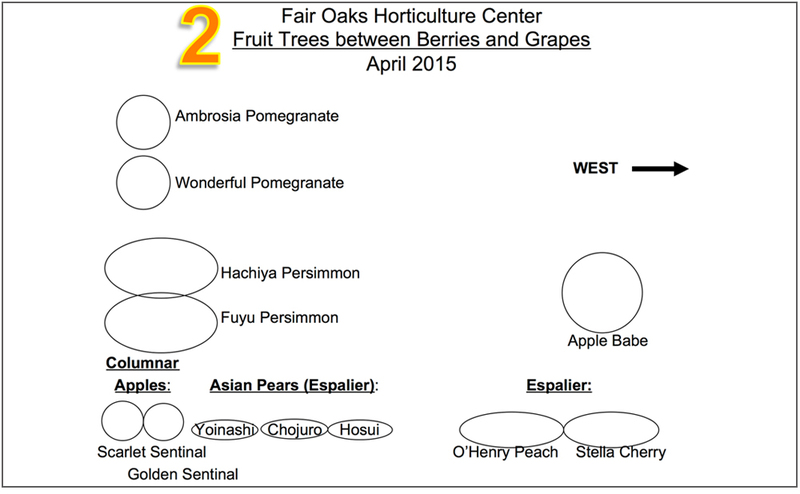 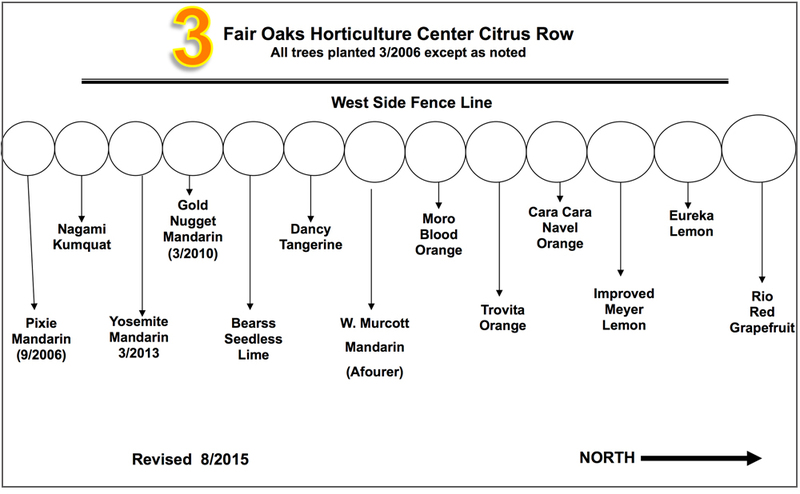 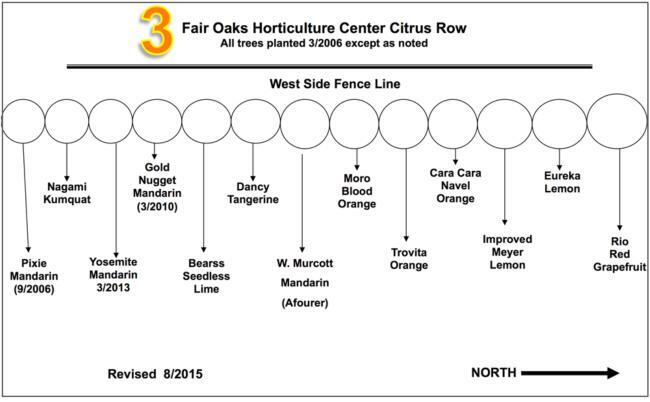 There are three locations to find fruit trees in the FOHC. 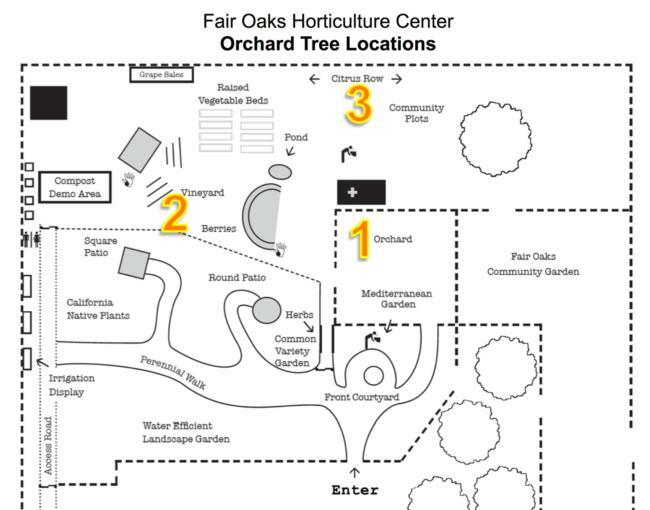 This first map is labeled with each area. 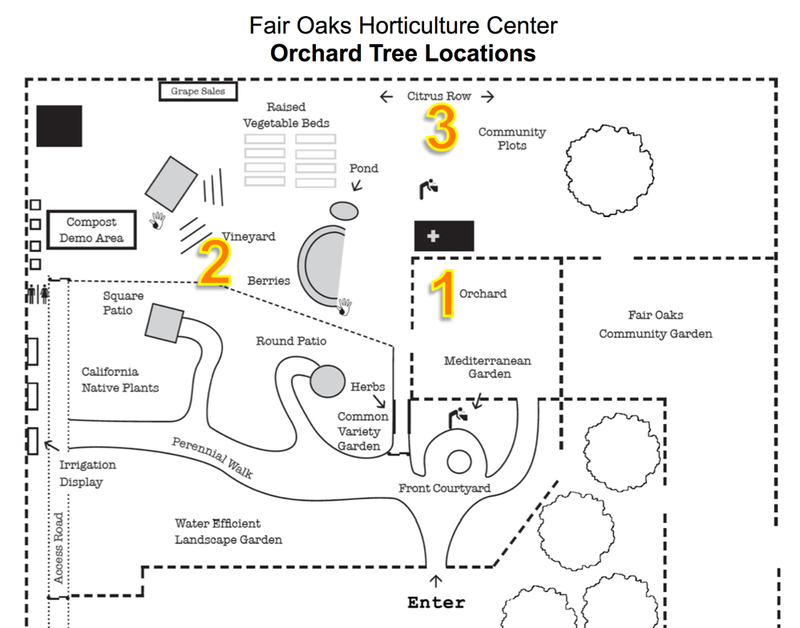 The pictures that follow show you the details of each location.